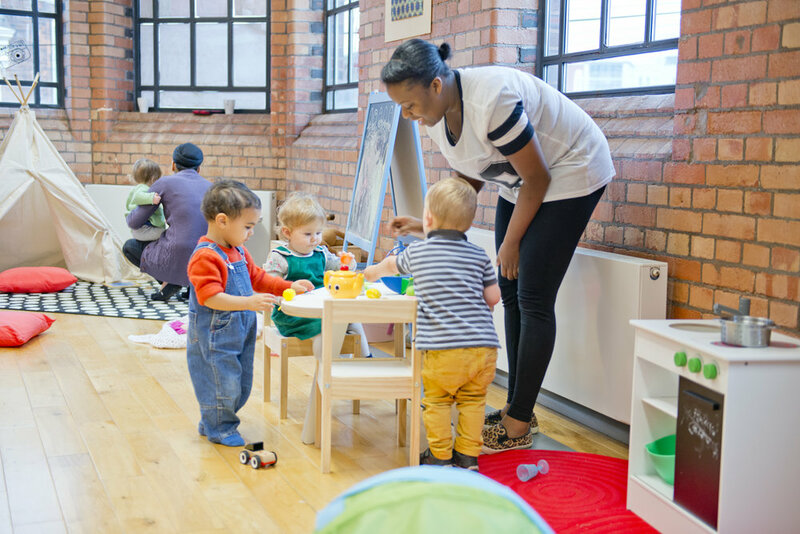 Digbeth’s dynamic collaborative work and events space, Impact Hub Birmingham, is proud to share its Mission Birmingham Parent Membership the first space outside of London to combine co-working and affordable childcare. Long gone are the days where freelance parents and nomadic workers struggle to juggle work priorities and childcare. We are entering a new era where parents and families feel more empowered to rightfully demand more flexible, affordable, accessible and high quality provision; Impact Hub Birmingham are invested in challenging the norms and creating more spaces for families to thrive side-by-side. Impact Hub’s on-site crèche facility, is anything but a convenient drop-off service, in true Impact Hub Brum style, we offer a high quality, safe, stimulating, all-encompassing provision to babies (6 months and up), toddlers and pre-schoolers, which offers free-flow creative play and additional structured activities; all led by experienced artists and early years practitioners. Whilst practitioners and playworkers are there to oversee the children's welfare and additionally support and nurture and each child’s overall development, all infants are encouraged to play and socialise inclusively, no matter what age, developmental stage, or learning ability they possess. Each week’s session is themed or a chosen holiday is celebrated such as nature, world population day and Jamaican independence day; we even celebrate each child’s birthday. The creche provision is held weekly 10am-1pm on a Thursday. Healthy snack’s are provided but we do ask parents to bring additional snacks or a small lunch in addition to nappies, wipes, water and or milk and a change of clothing. 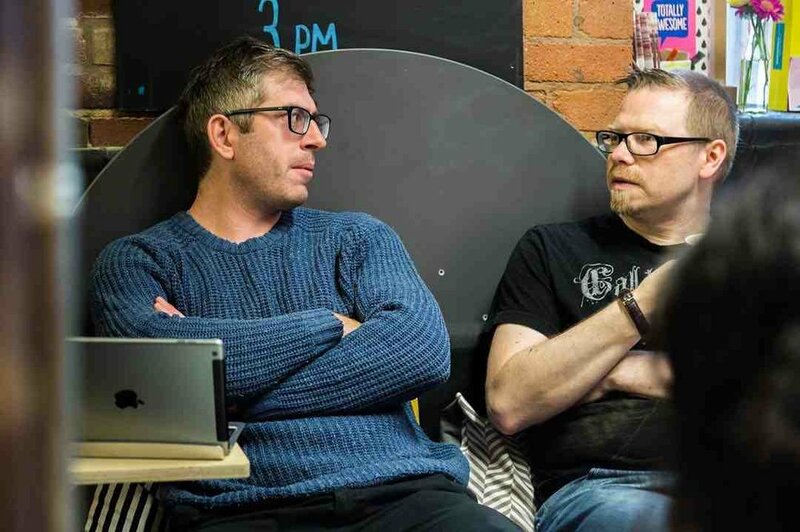 The onsite co-working space at Impact Hub Birmingham has super fast broadband, big spacious tables, plenty of natural light, a coffee shop, PAYG printing services and areas to host meetings. This work forms an important part of our #RadicalChildcare programme, an initiative to explore, imagine and invest in bold new possibilities for the future of childcare. For just £55.+VAT per month parents/family members will look forward to receiving 2 days access to Impact Hub Birmingham (co-working space) plus 12 hours of high quality childcare, per month offering free-flow creative play activities for children from 6 months to preschool age, led by experienced early years artists and practitioners. Other exciting benefits include: superfast broadband, events and room hire discounts, unlimited access to the coffee shop and breakfast bar; personalised mug and access to the global network of over 100 Impact Hub’s worldwide. Becoming a parent member at Impact Hub has been a saving grace! It has given me space to steady myself back into work since becoming a mom, particularly at a time when it can be quite isolating as a new parent. As part of the community here, I’ve been able to develop new partnerships, widen a network of peer-support, connect with and learn from other members, attend Hub events and dedicate time to my practice as an artist, project manager and creative producer. My son LOVES the whole team and looks forward to coming every week. The way the staff care for all the children is so evident. I’ve been able to genuinely witness him grow in confidence, learn new skills and make friends. All while I work downstairs (great comfort for me having that proximity to adapt to the working parent life)!!!! As a result, my son has made the transition to nursery part-time with such ease. I am certain this wouldn’t have been possible for either of us were it not for the creche. Hub has been a very comfortable place to bring my young son from the very beginning, something I don’t take for granted. I hope this continues to grow and that we see it established in workplaces as normal. It’s so helpful to know an option like this exists. Fellow parents, I cannot recommend enough!